Sirena’s creamy skin was wealed with lash marks, old and new! If it seems like this site seems to bang on about Shepheard’s hotel a lot, maybe the quote above goes some way to explaining why. It comes from the 1945 novel London Belongs to Me, written by author Norman Collins, which is a gritty slice of wartime British realism. 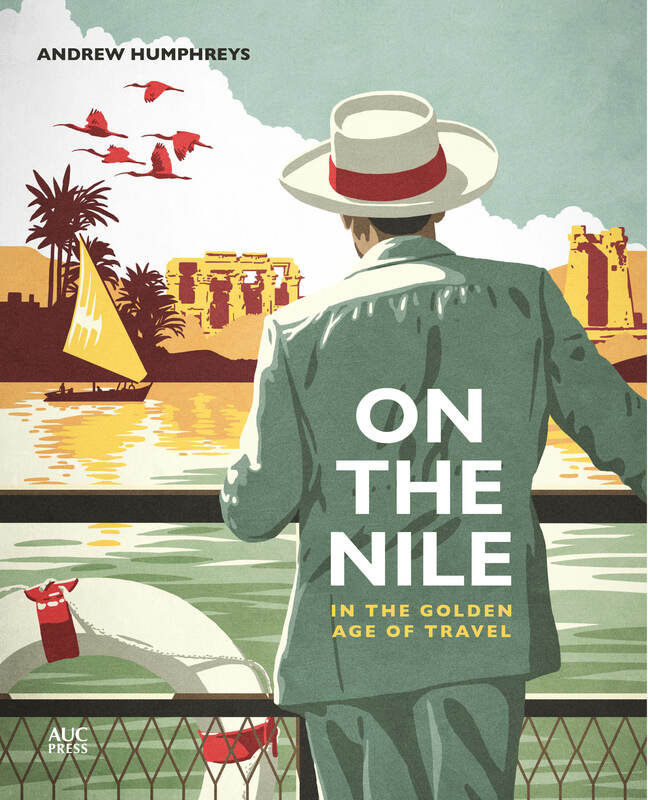 What it illustrates is how familiar British readers were with the glamorous, internationally renowned Cairo hotel – it suggests that as a shorthand for the city, Shepheard’s was maybe even more familiar than the Pyramids or the Egyptian Museum. I was reading another canonical English novel recently, Billy Liar by Keith Waterhouse, written in 1959, and Shepheard’s is namechecked in that, too. 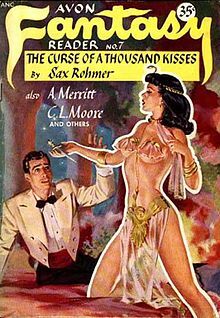 I’ve no idea what those 19th century novels were that featured Shepheard’s, they’re long gone, but there is a vintage genre of fiction in which Shepheard’s frequently cropped up that is still read, and that’s pulp. 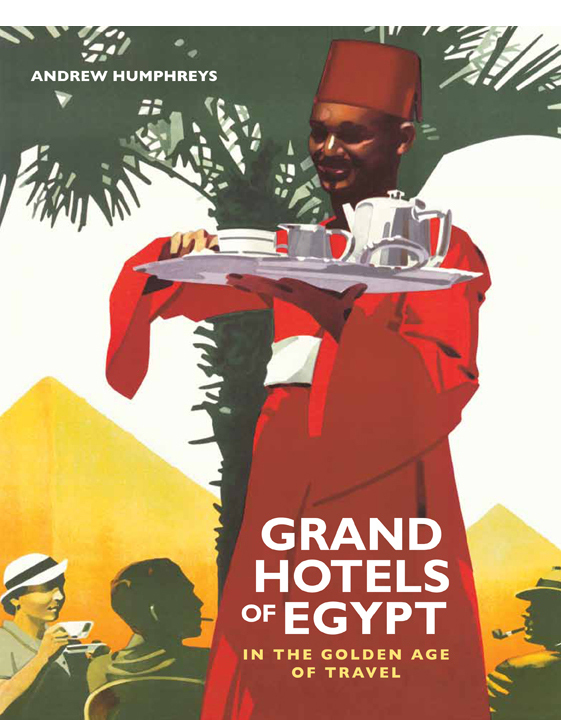 “We stopped at Shepherd’s Hotel, reached in a taxi that sped along broad, smartly built-up streets; and amidst the perfect service of its restaurant, elevators, and generally Anglo-American luxuries the mysterious East and immemorial past seemed very far away. Kipling’s no pulp writer but Hichens wrote supernatural fiction and Mason turned out detective stories (as well as the novel The Four Feathers), while Rohmer is the pulpiest of the pulp, creator of the brilliantly over-the-top stories of master-criminal Fu Manchu. In 13 bestselling books and at least as many film adaptations, Fu Manchu plots to take over the world, only to be constantly thwarted (in the early books, at least) by the dogged colonial police commissioner Nayland Smith. 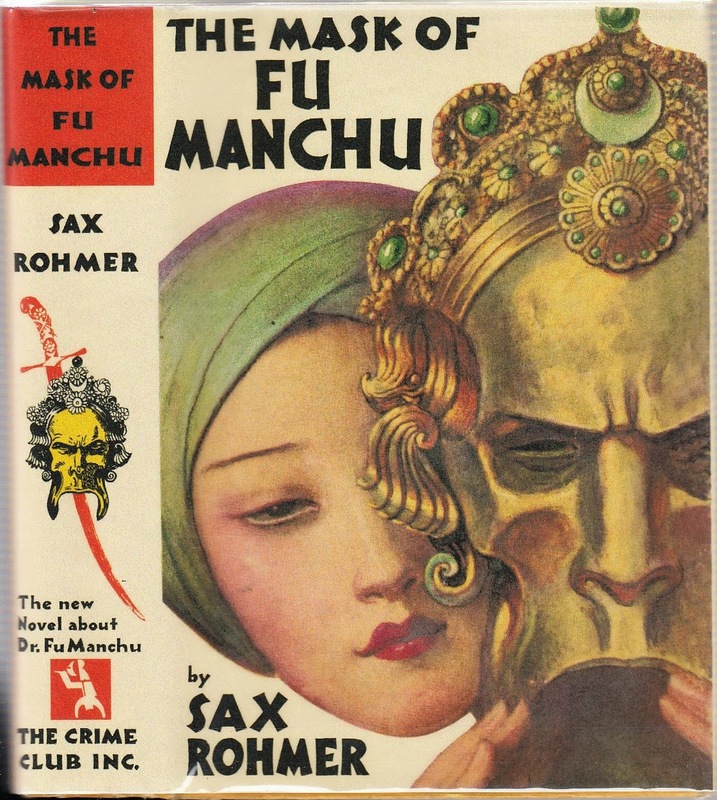 Although Fu Manchu was Chinese, the orient was the orient and Rohmer’s stories freely mixed the eastern Asian with the Middle Eastern and North African. 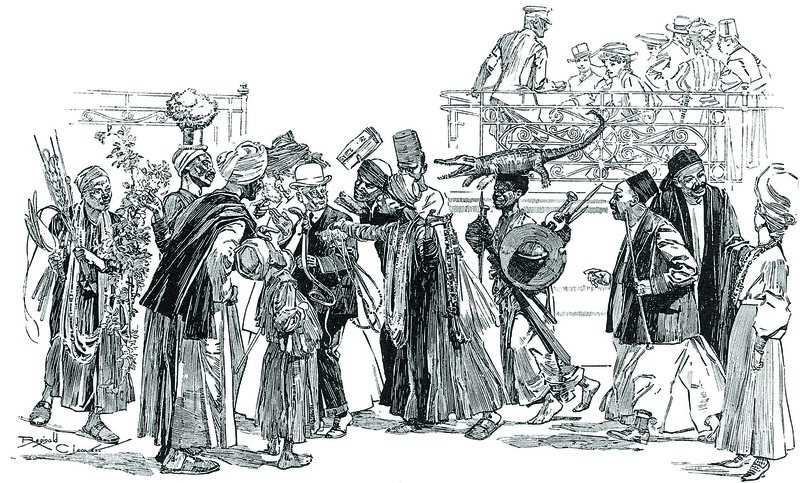 The wily Fu Manchu was as liable to pop up in Cairo as Shanghai or London’s Limehouse. 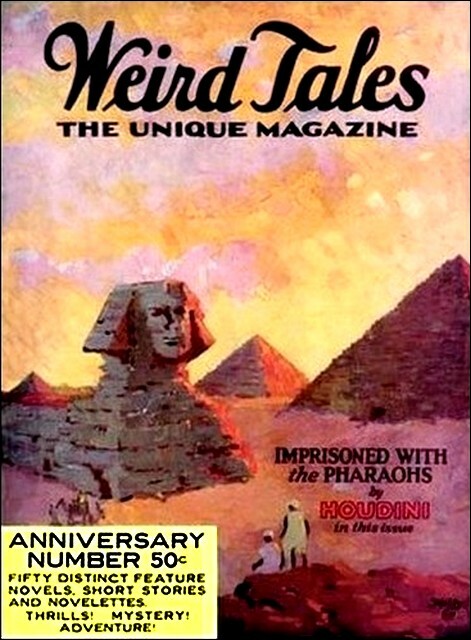 Rohmer also wrote reams of stories and novels that did not feature Fu Manchu, and many of these were set in Egypt, a country with which he had a deep fascination. 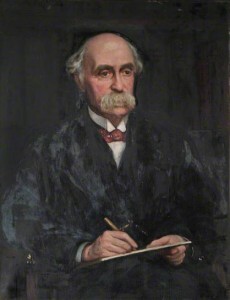 Apparently Shepheard’s was one of his favourite hotels; he once met Arthur Conan Doyle, creator of Sherlock Holmes, on its terrace, and it crops up numerous times in his novels (including in Brood of the Witch Queen, 1918, and Daughter of Fu Manchu, 1931) and short story collections (including Tales of Secret Egypt, 1918). 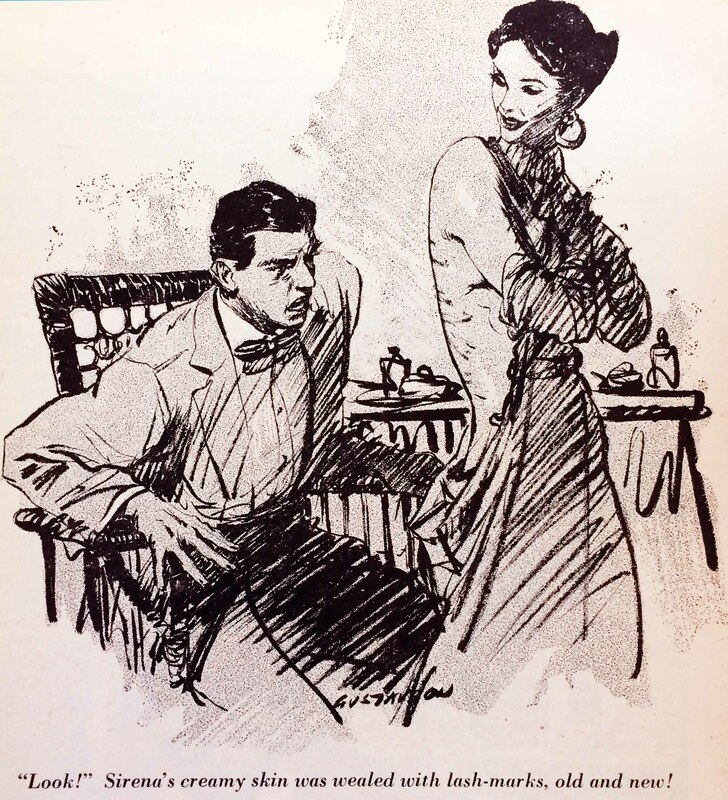 There was even a short story called ‘A Date at Shepheard’s’ published in Blue Book magazine, a slight tale of a mysterious woman imprisoned in room 34B. 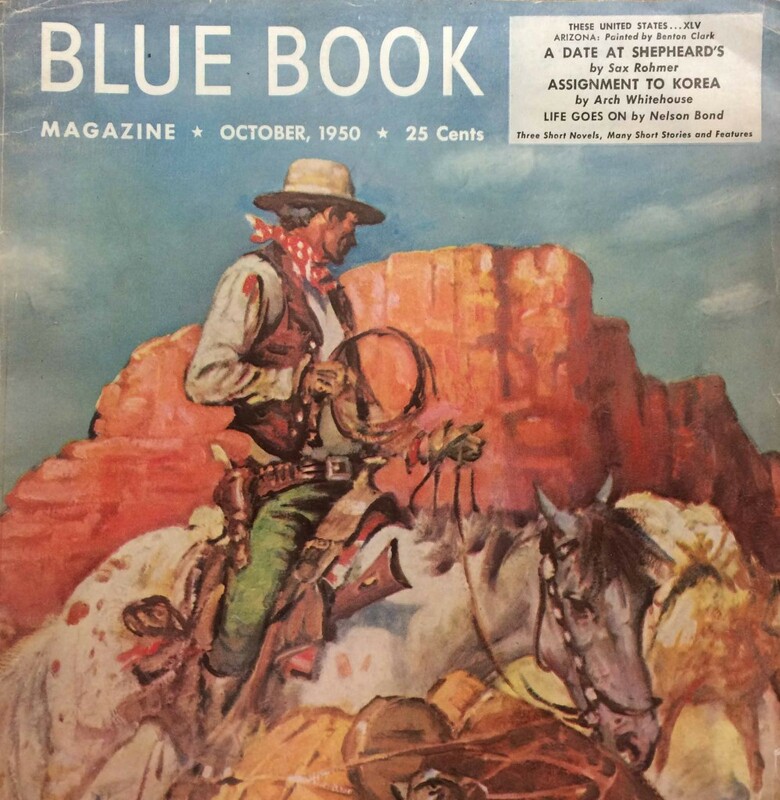 Rohmer’s frequent namechecking of the hotel apparently paid off: in his author’s biography in the Blue Book, the editors claim that Rohmer (who died in 1959) never had to pay a bill at Shepheard’s. The practice of product placement has been around a lot longer than you imagined.